When it comes to water garden construction and installation, you’ll want to be aware of a few different factors before you get started. 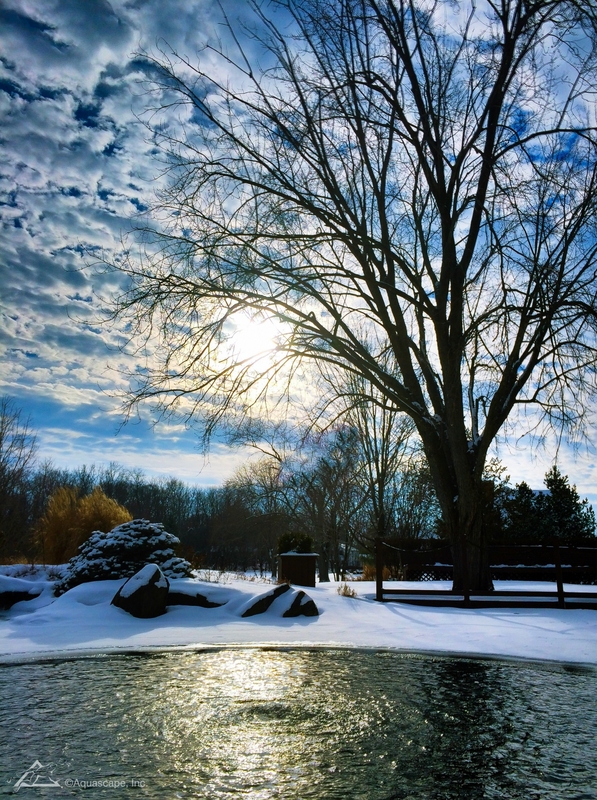 This article will touch on some of the most important factors when considering water garden construction. We’ll take a look at commercial water garden construction, residential installation and various aspects of the process. 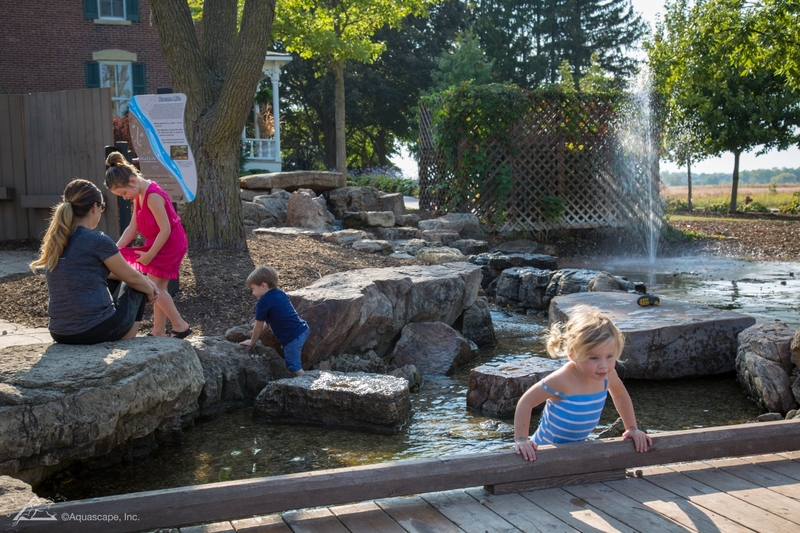 Come and explore the wonderful world of water garden construction with us! The first and possibly most obvious thing to consider when constructing a water garden is your audience. Where is your family and friends going to be viewing the water garden from? After the construction is completed will you be able to view your most favorite parts of the water garden? One way to alleviate this issue, if there is one, is to have a water garden pathway constructed so you can walk around your feature and enjoy your paradise in entirety! We like to consider various styles of bridges, such as a rock bridge. Various tools will be at your disposal when it comes to water garden construction, and we aren’t talking about hand tools! Think about your vegetation, rocks, pebbles, fish and lighting. All of these items are tools at your disposal! Use them to compliment each other and bring out the best in your water garden. 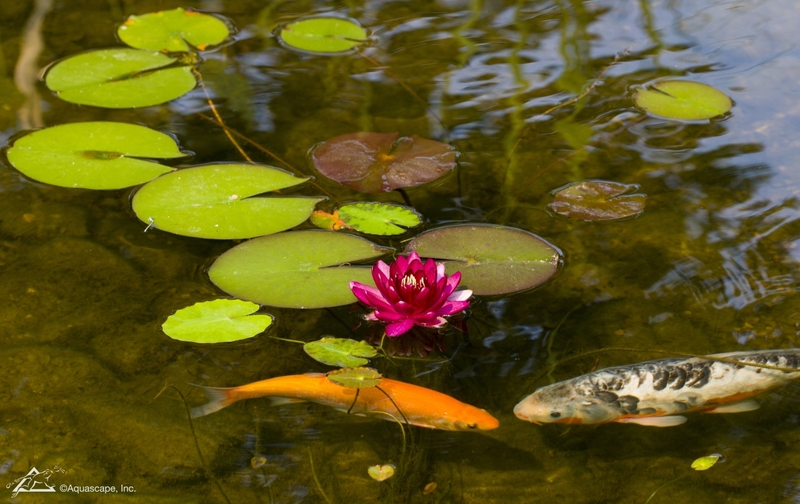 While adding fish to your pond is a great idea for some, for others it just might not make sense. 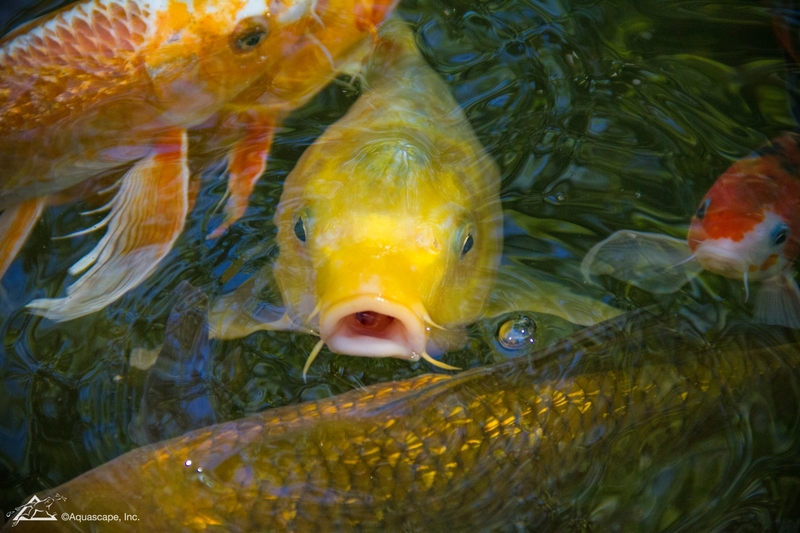 Don’t fret if you can’t add fish to your pond! Other low maintenance aquatic life exist as well. Consider turtles, frogs or even aquatic plants. Pondless waterfall construction simply doesn’t have a pond, therefor fish wouldn’t be possible. We like to consider what our goals are for the water garden construction. What would the ideal pond look like in the end? What types of ponds would make sense? Perhaps a different construction approach would be the best plan; DIY Water Garden Kit. Residential water garden construction adds both value and beauty to the property. 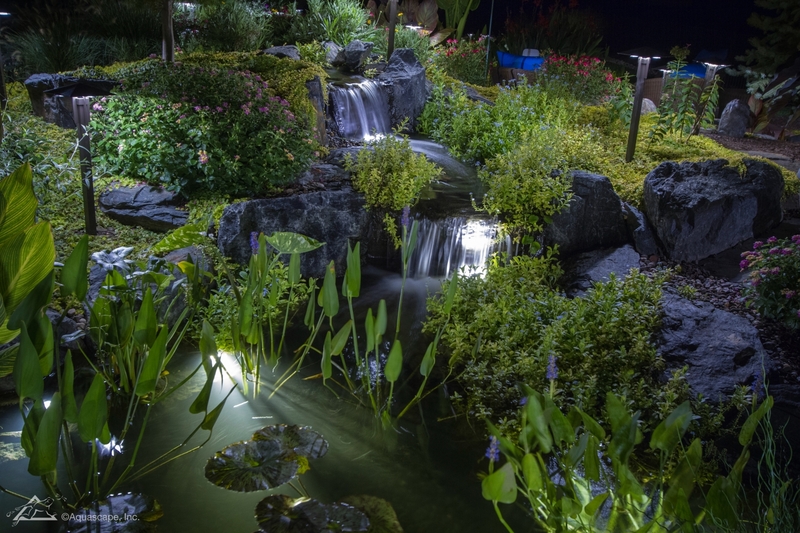 If you’re considering having a water garden designed and installed on your property, be sure to work with a local water garden construction company. 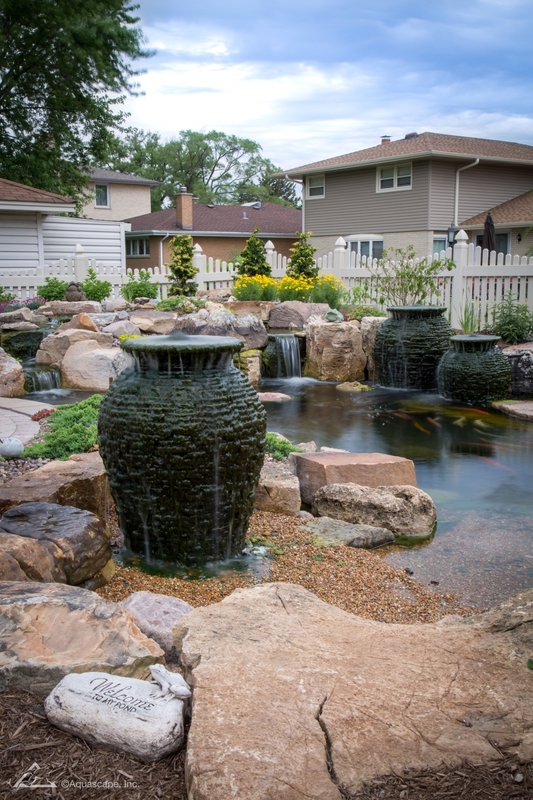 Notice how this beautiful water garden incorporates the garden with multiple water features. We carry various styles of these water garden urns in our store! 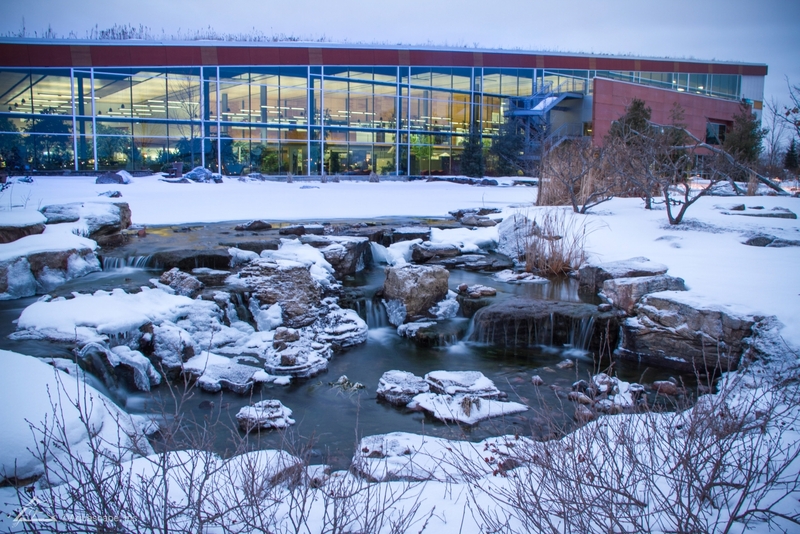 Meyer Aquascapes offers commercial water garden design and construction. These soothing water features are not only relaxing to guests, but also motivational for employees. Connecting with nature on a daily basis helps elevate mood and happiness! The sound of moving water is tranquil and conducive to a positive enviroment, wouldn’t you agree?